Coming back to Crested Butte from an east coast beach town I was struck by the difference in signs. Not the signage of the communities in general but by the ‘Help Wanted’ signs proliferating around this town. Scratching the surface, it is apparent that Crested Butte employers are having some difficulty filling jobs. And anecdotally at least, it’s not a people problem but a housing problem. Look at the classified ads in the last few papers. There are pages of employment ads. Businesses are looking for restaurant workers, private chefs, housekeepers, lodging staff, cops, retail clerks and professional positions. In the ‘For Rent’ section, there are a few houses for rent but there are almost as many ads from people seeking a room or a home. In Hilton Head, South Carolina many of the tourist-oriented jobs listed above were obviously filled by college students taking a summer job at a cool place. Granted, the Hilton Head area is much larger than this valley and there are several nearby communities there with apartment complexes that accommodate seasonal workers. But here, the one facility that catered to seasonal workers was condemned last winter after a major water damage incident. Marcellina Apartments in Mt. 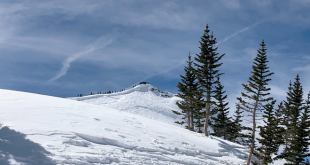 Crested Butte evicted its seasonal tenants just before the end of the ski season and the owners now plan to turn the spot into a place for high-end condos. During last winter’s debate over the proposed Caddis Flats affordable housing project in Crested Butte, local resident Susan Eskew pointed out how many people that in the past might have rented their rooms and houses to workers have instead turned to short term rentals through websites like VRBO (Vacation Rental by Owner) or airbnb (Air bed-and-breakfast). She said tourists seek out such vacation accommodations over a boutique hotel for example given price and convenience considerations. That’s understandable on both ends. Locals can make money to pay their mortgage while visitors get a usually more affordable local place with kitchens and private hot tubs. But that shift appears to have placed the squeeze on our seasonal workers. The jobs are here but if you can’t find a place to hang your hat and lay your head after a shift, why would you come here? 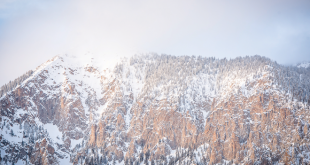 The traditional work force of young workers seeking a summer (or winter) adventure in a cool mountain town are being forced elsewhere. Other places with more housing inventory are attracting workers. Caddis Flats will eventually help but is meant to not so much address this seasonal demographic since it will cater to low income but long-term residents. Gunnison Valley Regional Housing Authority Executive Director Karl Fulmer told me this week that it’s not just the north end of the valley feeling the pressure. 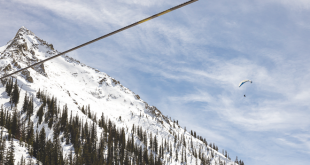 He too has heard that local CB business owners have expressed sincere concerns over finding enough employees in the Crested Butte area during the summer of 2014. Fulmer said he had one encounter with an Elk Avenue business owner excited by the probability of a super busy summer but frightened at the prospect of not having the staff to handle it all. “Not only have local business owners voiced concerns about finding housing opportunities for their employees, the Housing Authority office has also been contacted by local property management companies saying that the Gunnison Market is starting to feel an impact due to overflow from the North Valley rental market,” he said. So what to do? Should the town of Crested Butte take some of the vacant land it owns and is dedicated to affordable housing and construct a complex that is focused toward seasonal workers? That would mean fewer deed restricted single-family homes and duplexes and more apartments. The town has traditionally focused on helping to provide housing for long-term residents such as young working families. Those two groups don’t always mix well. The work and party ethic can sometimes clash. Should CBMR perhaps think about taking some of its real estate and build low rent housing for its summer and winter seasonal workers? The company has probably looked at any property it owns as a place for high-end second homeowners as opposed to lift ops. But in the long run, maybe an apartment complex would help them out more. Where does the town of Mt. Crested Butte come in? How about CB South or Gunnison? Those locations are not ideal for workers hoping to be close to their jobs but land is cheaper there than at the base of the ski slopes. There is no easy solution. But the conversation needs to start. If businesses can’t hire people to fill jobs ranging from house cleaners to cops to bartenders to kitchen workers, what sort of service will all those tourists staying in the VRBO and airbnb rooms get when they come to town? If it’s not good they probably won’t come back. And if visitors don’t return, then there will eventually be plenty of places to rent for seasonal workers…but not so many jobs to fill. And that’s not really a good circle to be caught in.